XS 5'2"-5'4" 34-36" 28" 29"
S 5'4"-5'7" 36-38" 29-30" 30"
M 5'7"-5'10" 38-40" 31-33" 31"
L 5'10"-6'1" 41-43" 34-37" 32"
XL 6'1"-6'2" 44-46" 38-40" 33"
XXL 6'2"-6'3" 47-49" 41-43" 33.5"
A versatile winter clothing system for extreme sailing in wet and cold environments that can be worn as single layers or combined when the temperature drops. The new Thermoskin Skiff Suit features zoned thermal insulation, wind, water and UV protection, X4 Flex stretch panels for fit and flexibility and strategically reinforced Di Guard protection points as well as Performance Hiking Pad compatibility. Glued and blindstitched construction for a waterproof seal. SuperFlex neck opening eliminates the need for a zipper. Low profile leg seals with silicon grip print. 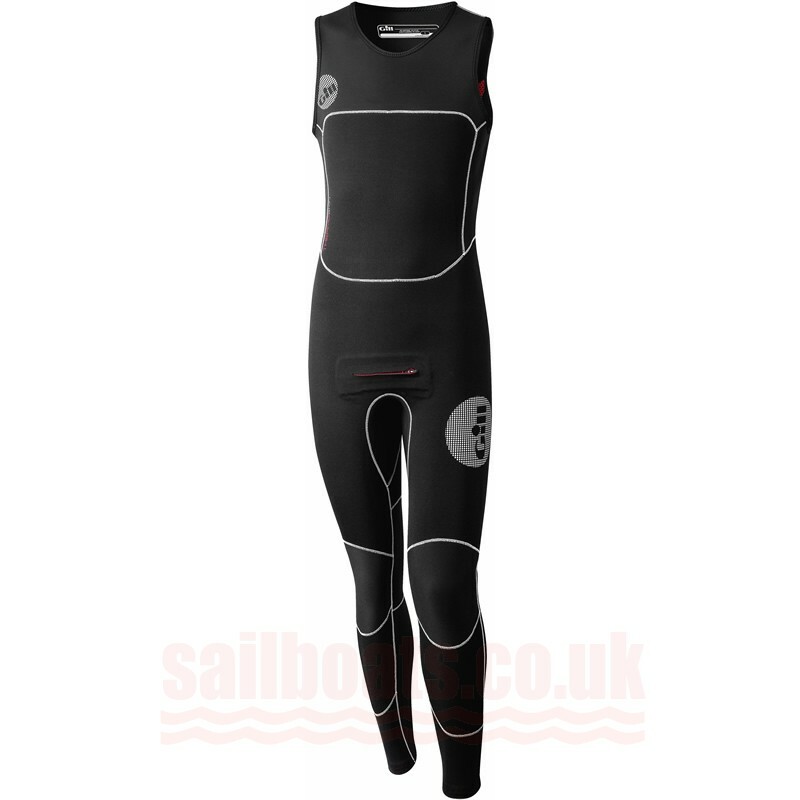 High loft Thermoskin neoprene protects the torso. X4 Flex fabric across shoulders, underarms and behind knees for complete freedom of movement. Abrasion resistant Di-Guard seat and knees.